Herbs generally refers to the leafy green or flowering parts of a plant (either fresh or dried), while spices are usually dried and produced from other parts of the plant, including seeds, bark, roots and fruits. 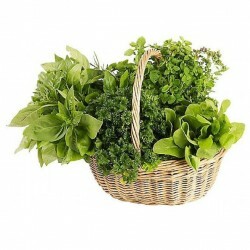 Herbs have a variety of uses including culinary, medicinal, and in some cases, spiritual. Blue giant hyssop is a strongly aromatic, drought tolerant, erect perennial native throughout the .. This cool season field green has numerous common names such as corn salad, feldsalat, fetticus, la..
Monarda media is a species of fragrantly flowering plant in the mint family known by the common name..